What’s it like to scare one? And what exactly scares a ghost? Flora Saini has all the answers! The gorgeous actress played the scariest ghost of 2018, when she gave form to Stree. You may not have seen her face, but you have certainly heard her scream. Flora cheerfully agrees to look back at the toughest part about playing a ghost. One of the best parts of the film, she says, was that she did not have to wear make-up. “Thanks to the VFX team, we saved time on make-up because what you see on my face is not make-up, it’s VFX. I just had bindis on my face for the VFX guys,” she explains. “The other good part is that I didn’t have to wear a white sari. I wear a red sari. I’m happy that ghosts finally got some colour in their lives!” she laughs. 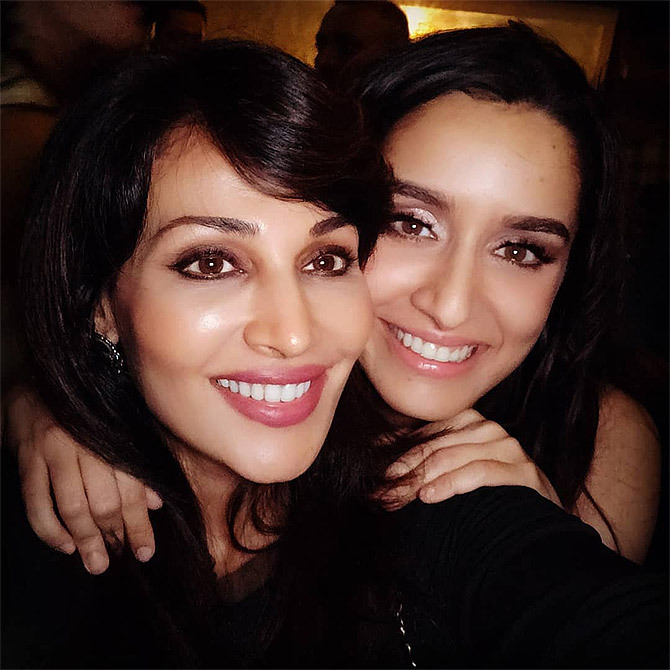 Did Stree’s success help her career? “It didn’t help me that much because my face wasn’t seen. But people within the industry knew the pain it took to play a ghost and the fact you have tried something different. So they appreciated me,” she says. While that appreciation did not translate into film roles, Flora has signed up several web shows like Gandii Baat, Inside Edge Season 2, City Of Dreams, The Red Land and a short film called Seasoned With Love. 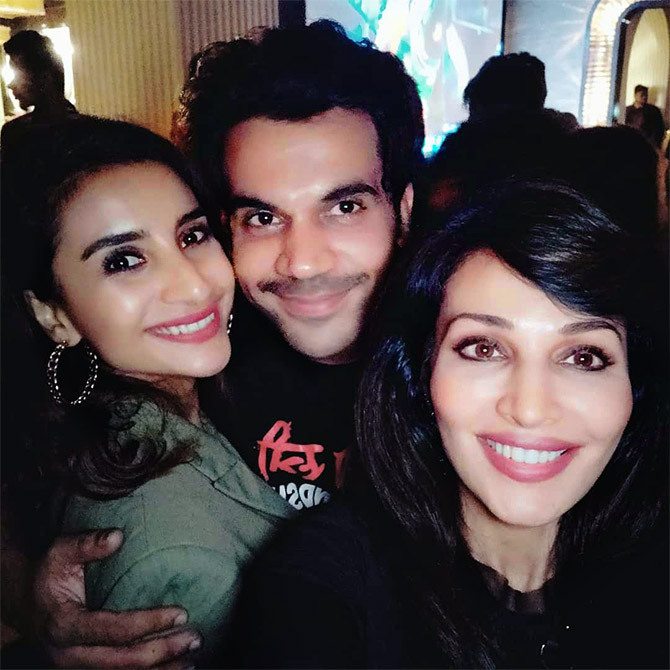 IMAGE: Flora Saini shoots for Stree. Did she ever feel bad that her face wasn’t seen in 2018’s biggest blockbuster? “I have been working from right after school, so there has been enough song and dance, playing the pretty girl... I’ve done all that,” says the actress who’s been in the industry for almost two decades. “The films were changing, the roles were changing but, more or less, they were the same thing. There was nothing challenging or different. Flora claims that working in a horror film made her see it differently. “I did a horror film in Telugu cinema before doing Stree,” she says, “where I become a woman who is possessed. “Before doing that, I used to think that horror films were a joke, as such things don’t happen. 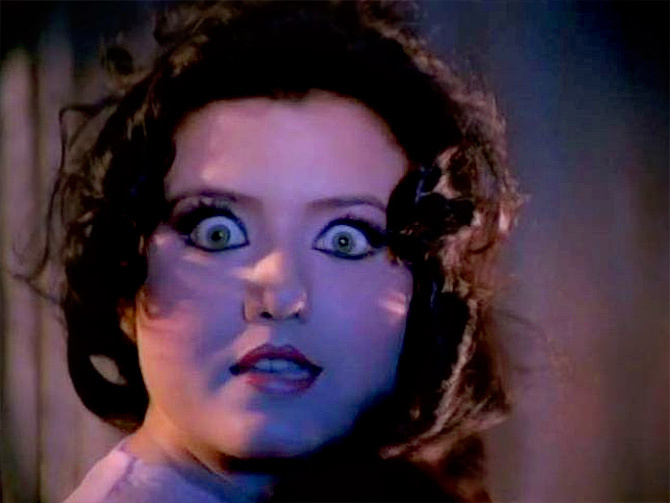 I used to laugh watching old Hindi horror films -- till I got to act in one! “I realised it is so difficult to act like someone who is possessed, someone who has had a burst of energy and can suddenly throw people about. Even though throwing people around happens through (the use of a) harness, to show that you have that power, you have to breathe heavily. Horror films scare Flora a lot as well. 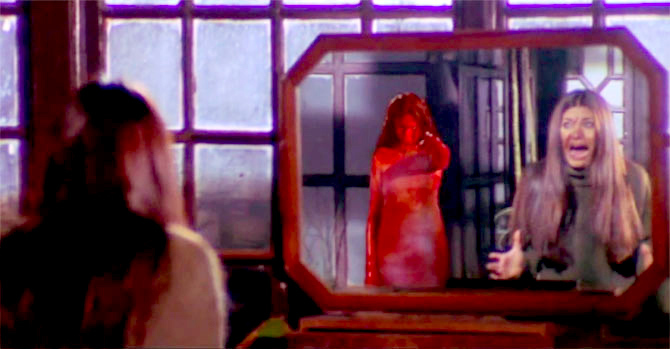 Flora takes a look at the scariest ghosts in the movies. The first film I saw on our VCR was Veerana. That’s my earliest memory of a horror film. I was in Class 5-6. There’s a little girl who is possessed. Her parents would say there’s something odd about this girl. She would bury her dolls. That scared the living daylights out of me! I used to think that if I ever did this, what would my mother think of me? Chinna, who starred in the Telugu horror film I did, had worked in Raat as well. There’s a scene in the beginning where Revathy says, ‘Mujhe dawaiyaan khane ka bahut shauk hai,’ and she has a bunch of medicines for breakfast! The story of my Telugu film was similar to Raaz’s story. There was a girlfriend who dies, and the wife gets possessed. I played the wife. I liked Raaz for its songs as well. I loved that the scene where Urmila Matondkar gets lifted into the air because she’s possessed. I loved her haircut in the film. She did a fabulous job. I got scared while watching Stree -- but not my part. The background score scared me; it was so good! There’s a scene where Bittu and Janna are stranded in the night, because the petrol in their motorbike has run out. They are walking with the bike and talking about Stree, when there’s a loud screech. I jumped during that part! That’s when Pankaj Tripathy makes his entry on the bike. I went to a theatre to watch Ragini MMS on the first day itself, because of the catchy Baby doll song. The film didn’t scare me as much as the earlier films on this list. The colours... the VFX... the old lady, my God!